A cyclist who became ‘exhausted and disorientated’ on the way from Newhaven to Peacehaven was rescued by the Brighton lifeboat crew yesterday. Newhaven Coastguard was first called to the Rushy Hill Caravan Park area after a report from Sussex Police of a person in difficulty below the cliff at 7pm yesterday (Tuesday, June 12), a coastguard spokesman said. Brighton Lifeboat, which was just mooring up after a previous incident, was also tasked. The casualty was located with a push bike on the rocks below the caravan site, the spokesman said. 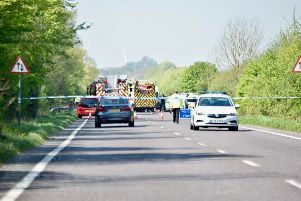 “The casualty was trying to make way from Newhaven to Peacehaven as part of a bike ride but wasn’t aware of the terrain and became exhausted and disorientated,” the spokesman said.